The American Association for Cancer Research recognizes May as the National Cancer Research month, as declared by the U.S. Congress with Senate resolutions in 2007, 2011 and 2014. Therefore, in recognition of National Cancer Research Month, we would like to honor the continued extraordinary efforts made by scientists, clinicians and patient advocates all across this country who remain dedicated to finding cures for cancer. And most importantly, we want to recognize the immense courage of those individuals battling - or have battled - cancer and the strength of their loved ones who provide their unyielding support. Cancer remains a primary public health concern in the U.S. and many parts of the world. 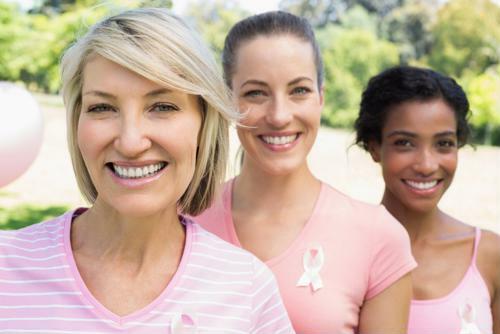 According to the annual cancer statistics report from the American Cancer Society, the risk of developing invasive cancer in your lifetime in the U.S. is 1 in 3 for women and 1 in 2 for men. Currently, cancer is the leading overall cause of death in the U.S. for men and women ages 40-79. Furthermore, while cancer remains the second overall leading cause of death for all ages, it is predicted to surpass heart disease as the leading cause in the coming years. It is estimated that 1.6 million new cases of cancer will be diagnosed in 2015 and nearly 600,000 people will succumb to their illness. Lung cancer remains the overwhelming leading cause of cancer mortality at just over 25 percent of all cancer-related deaths, followed by prostate cancer (for men) and breast cancer (for women), with colorectal and pancreatic cancers the third and fourth leading causes of death, respectively. In children 1 to 14, cancer remains the second leading cause of death behind accidents. In 2015, it is estimated that more than 10,000 children will be newly diagnosed and approximately 1,250 will die from their disease. The vast majority of diagnosed cancers in childhood include leukemia (30 percent), followed by brain and central nervous system cancers (26 percent). Increased understanding of the molecular and genetic characteristics of tumor formation and progression. development of novel and improved treatment strategies - such as combination chemotherapies and targeted radiation therapy. More effective screening and prevention strategies. Increased levels of participation in clinical trials. Despite these tremendous advancements, there remains so much to discover. We are on the cusp of a new era of medical science - and could have the ability to analyze entire cancer genomes and apply personalized genetic information to targeted treatment strategies. We are only just beginning to understand the complex relationship between the immune system and cancer, and the development of tumor vaccines, immune modulators and engineered viral-vector based therapies are in active development. However, the fight against cancer is not just at the scientific and medical fronts, the social disparities that exist in our current healthcare system must absolutely be addressed. There remain unacceptable differences in cancer death rates and receipt of high-quality care in disadvantaged socioeconomic groups. We must work to identify and minimize modifiable risk factors, improve access to high-quality healthcare (including cancer prevention, early detection and timely diagnosis), and ensure that all individuals in our society can obtain the standard-of-care therapies that stem from our scientific and medical discoveries.